Scott D. Fech, left, and Albert J. LaMere were inducted into Bishop Noll’s Hall of Honor on Nov. 9. 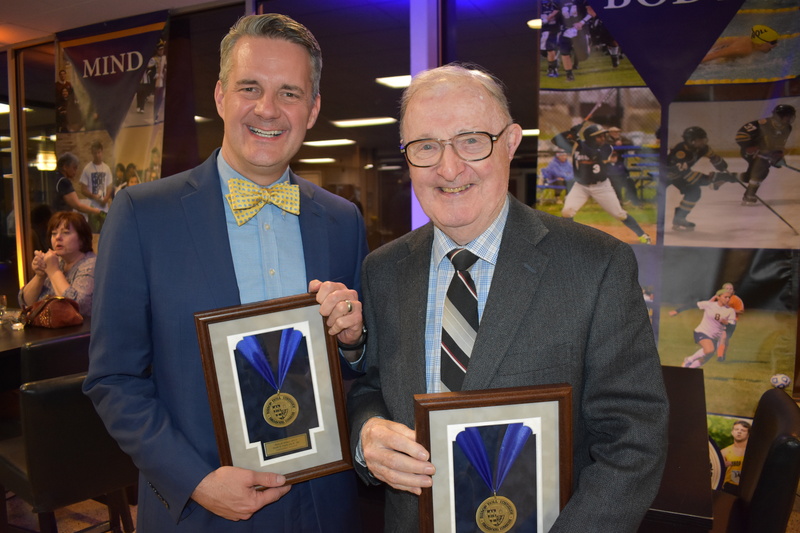 For their dedication to Bishop Noll Institute, Albert J. LaMere and Scott D. Fech were recently inducted into the school’s Hall of Honor. Both recipients were honored Nov. 9 during the school’s annual donor reception and Hall of Honor induction. Mr. LaMere, who was honored in the category of Outstanding Leadership, has a long and faithful history with Bishop Noll, which was still known as Catholic Central High School when he graduated in 1942. His wife, Dorothy, was a beloved English literature teacher at the school for many years and the couple’s eight children all attended Bishop Noll. When he served as a state senator in the late 1960s, Mr. LaMere was a trailblazer in the effort to support private education. “Al as a leader in his community and as a leader in Catholic schools, has always been a strong believer in Catholic education,” said Mary Ellen O’Neill, Noll’s Director of Advancement, at the Hall of Honor ceremony. Al’s sister Linda spoke about how her brother is a gift giver who in 2007 coordinated efforts to place a memorial chapel at Bishop Noll in honor of their deceased brother Father Joseph LaMere. The chapel is still in the main building next to the Media Center. “Students could go in, ponder their thoughts, pray and ponder and at times, wonder, meditate what God had in store for their lives. You wonder how many of those young lives, because of that chapel that my brother Al and my brother (Richard ’45) donated, were changed. Only God will know,” Linda said. Dr. Fech, who was honored in the Outstanding Alumnus category, graduated from Bishop Noll in 1985 and went on to serve as principal from 2002-2008. 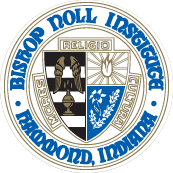 “Those were challenging years for Bishop Noll and Scott got us on the right course. He did some great things that have really contributed to the success of Bishop Noll,” said friend and 1985 classmate Michael Whelan. Dr. Fech returned to Noll as principal to reconnect with his Catholic identity, Whelan said. He had Noll pride and wanted to promote academic excellence and strengthen his alumni connection. Fech’s successes included the 1:1 laptop program and introducing the Mandarin Chinese program. His tenure also saw growth in Noll’s enrollment numbers. “Dr. Fech was known for walking the halls and knowing the students by their first names. He remains in contact with hundreds of former students and his classmates,” Mr. Whelan said. Of being inducted into the Hall of Honor, Dr. Fech said he was humbled and shocked. The 12th member of his family to attend Noll, he was honored to have gone to high school here and come back as principal. “I am so pleased with how things continue to grow,” he said.